A general purpose Relay board for connection to a PC's USB port using VCP (Virtual COM port). Control devices using your PC. 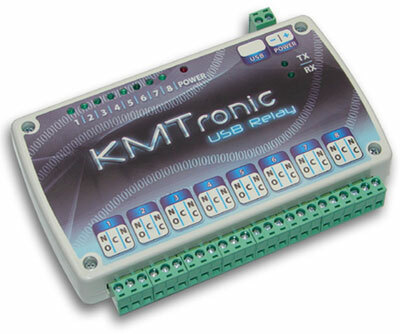 USB Relay controller allows a PC to control external devices using simple RS232 commands. Relay is fully powered from the USB bus. NOTE : Each command consists in 3 binary bytes (shown in hexadecimal below) without any space!